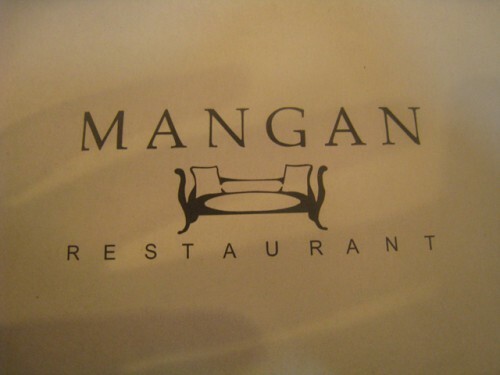 I’ve passed by Mangan so many times when I’m in MOA, but was never really enticed to walk in, grab a seat and eat away. 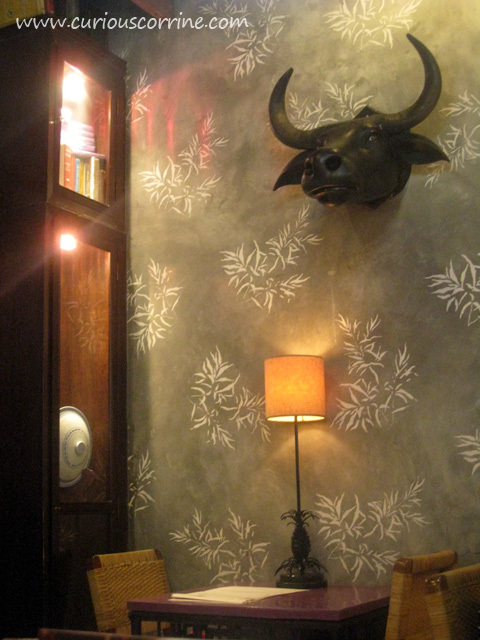 Actually, I secretly stay away from Filipino restaurants because that’s what I/we eat at home anyway. 😀 It’s a shallow excuse, I know. So, on to what we ate that day. 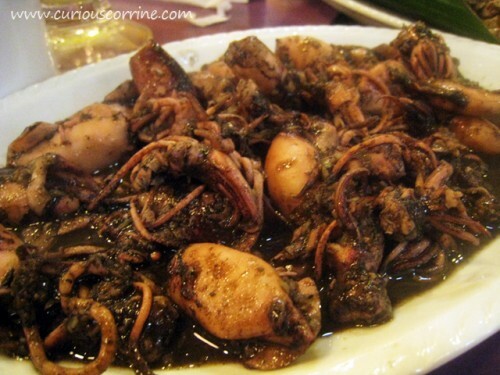 I ordered Adobong Pusit (Php300), which is a huge serving good enough for three persons methinks. 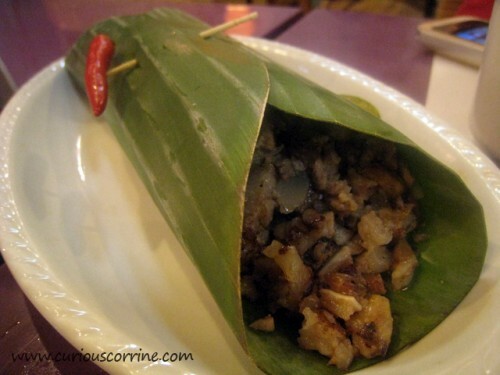 It tasted good (not great), and it was paler than how my mom would usually cook Adobong Pusit. The broth was a bit runny though, which I didn’t like. 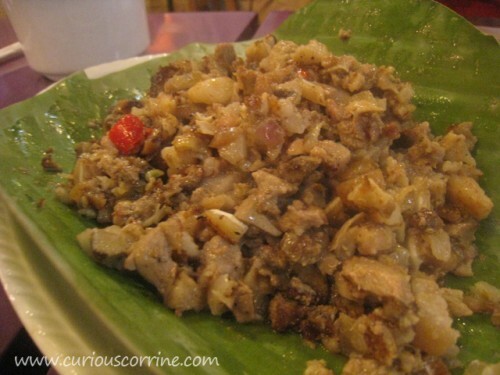 Sisig overload! 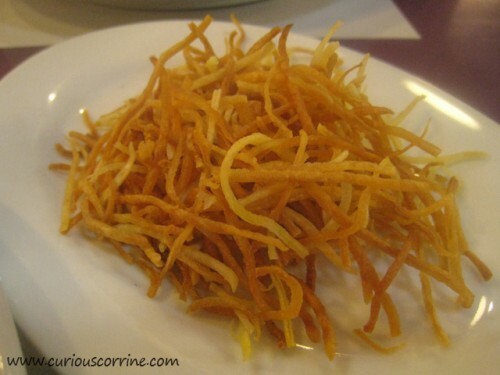 Babe took charge of finishing this dish, since I was tasked to eat the pusit dish. Haha! I did grab a spoonful of this though. It was pretty good, very meaty and flavorful! 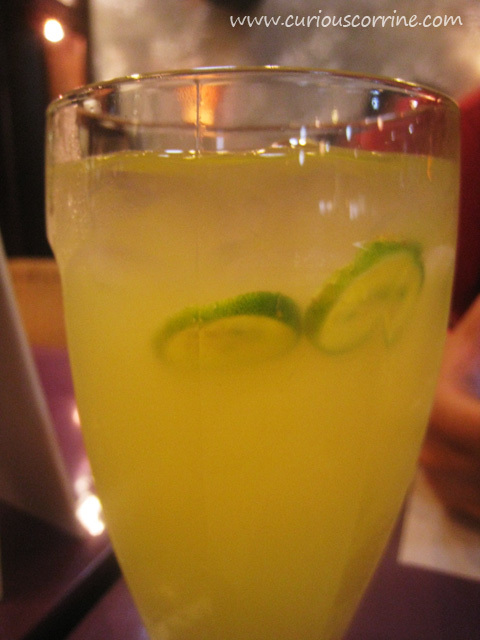 Let me quickly share my Calamansi Juice drink, which I thought had a bitter aftertaste. I bet it’s the fact that they threw in two sliced calamansis in the drink. 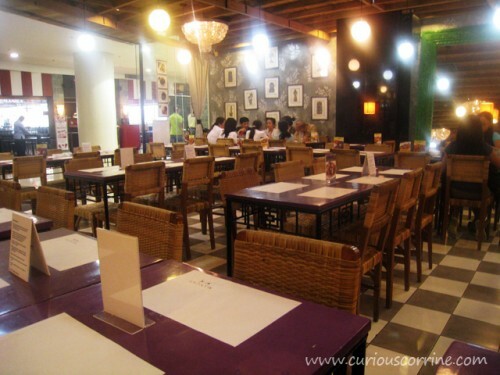 This entry was posted by Hanna Corrine Salta, who has written 63 posts as corrine, on Sunday, May 13th, 2012 at 12:32 pm and was filed under Restaurant.